You’ve finally taken the plunge and booked yourself in for a facial. But now, as excited as you are about your impending brightness, you certainly must be nervous about a bunch of things. What to expect? How often to repeat the process? What kind of results should you expect? How to maintain healthy skin? We have the answers to these questions and then, some more. 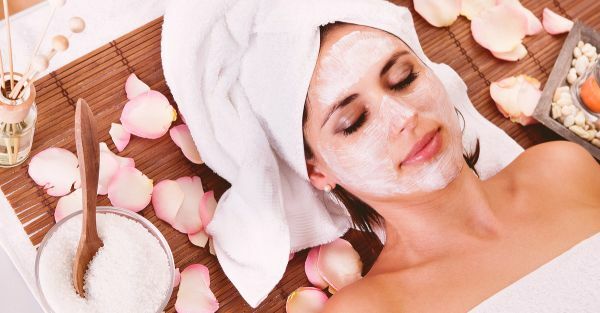 Read on for the best tips for your first facial. Our skin regenerates roughly every 28 days, wherein the top layer of skin cells shed to give way to newer, brighter skin. As we age, the process of regeneration slows down a bit and needs some assistance from our end. While your regular home exfoliation routine may have cut it when you were in your early teens, the same may not be enough as you grow older. This is where regular facials come into the picture. Facials ensure that the skin is well nourished and polished and helps a great deal in the regeneration process and to fight dullness. 3. How often should you get one? It depends on your age. When you’re in your twenties, once a month should suffice. But, as you grow older, you may need a session every 3 weeks. Listen to your skin, know its needs and you’ll be the best judge of how often you need a facial. Read up about facials, watch videos and talk to people who are diligent about their facials. Every little bit of information will help you figure out everything you need to know about facials, like which aesthetician to choose, how often to get them done, which products are tried and tested and therefore, popular, etc. Don’t be afraid to ask questions before, during and after your session. You have the right to know what they will be putting on your skin and what procedures will be used. Be sure to check the products before they are applied onto your skin so that you can be rest assured that only the good stuff is being used on you. Don’t be shy about asking questions, you don’t want to end up being stuck with the aftermath of a disastrous facial. Like skin care products, facials are specifically designed to suit individual skin needs. Picking a facial suited for your skin type is extremely important, or else, it may be counter-productive. It is crucial to know your skin type and how the active ingredients in the facial may react on your skin. Be sure to let your aesthetician know everything she/he needs to know about your skin and any sensitivities you may have. A facial and its products will be picked accordingly to ensure you get optimum results. Stay out of the harsh sun, ideally for at least a week before your facial. Avoid using harsh exfoliants or undergoing any treatments such as microdermabrasion, peels, laser etc. right before the facial. Moisturise well and drink lots of water to keep your skin naturally plump. Doing these little things will ensure that your skin isn’t too sensitive when you get your facial done. Don’t go trying out the newest, swankiest facial just because your aesthetician told you to do so. Convincing clients to opt for expensive facial treatments is salon/spa management 101. Sure, take the advice of your aesthetician but don’t be a scapegoat to tactics that make you opt for unnecessarily expensive treatments when a basic facial could’ve done the job just fine. Know what your skin needs and what your wallet can afford, and, act accordingly. Also read: 8 Simple Ways To Get Glowing Skin – From Head To Toe! Maintenance is as important as prepping your skin, if not more. Make sure you use the right products suited to your skin type and are consistent with it. No number of fancy facials are going to cut it if you aren’t particular about maintenance. Make sure you follow up with a session every 4 weeks or so and are diligent about sunscreen in the interim.